The port of Menemsha is located on the western end of Martha's Vineyard Island off the coast of Cape Cod in the resort town of Chilmark. 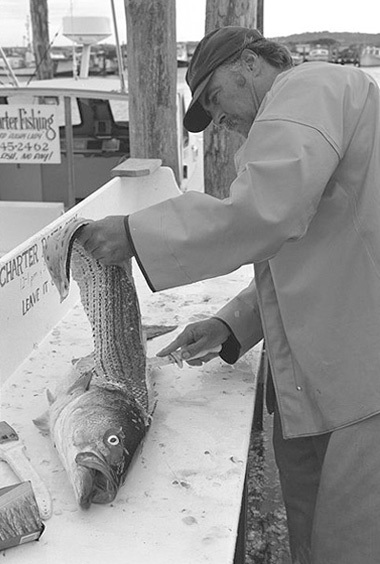 Menemsha is situated near some of the best rips and rock piles on the east coast, hiding places for trophy striped bass and bluefish. Ten minutes from the harbor is the famous "Devil's Bridge" known as one of the top spots for large striped bass. Not much further is the area around Cuttyhunk Island which contains "Sow and Pigs" reef, a legendary fishing hole. Also within a half-day range is Squibnocket, No Man's Island and Quicks Hole, all considered as some of the best fishing areas in the world for striped bass and bluefish. 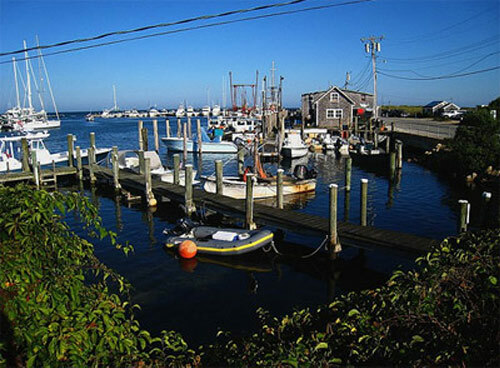 Menemsha is also a full-time working harbor and commercial fishing village. Lobstering, dragging for fluke and flounder, and fish potting are some of the predominant commercial activity that occurs in the surrounding waters. You can get a cup of coffee and snacks at the gas station or a full lunch prepared at the local deli for your trip. Larsens fish market also has great take-out that features fresh local seafood. There is also a full service sit down restaurant within walking distance that serves dinner. Overnight accommodations can be booked at the Menemsha Inn, also within walking distance of the harbor. Menemsha can be reached from anywhere on the island in about 25 minutes or less by car or by using public transportation which is available island-wide.